It’s a bird… It’s a plane…It’s a drone? Wait, it is a bird. The Bionic Bird is one of the most unique drones we have ever flown. It looks like a bird and flies like a bird by flapping its wings. It is small, about the size of a Robin. The Bionic Bird was created using biomimetic principles applied by mimicking the flight of real birds. This cute flyer is light and quiet, unlike most other drones. We got a chance to see this unique drone for the first time at CES 2017. The Bionic Bird is controlled by your smartphone via an app. Your range will vary greatly depending on your phone and where you live, but in ideal conditions you could achieve up to 100 meters. The bird can be controlled using one of four modes using your smartphone. One of the modes relies on tilting your phone, while the other three involve touching the screen or sliding your fingers on the screen. There are only two different controls for this drone – speed and steering. That’s half as many as a standard quadcopter so most people should get used to the controls quickly and easily. The speed control also adjusts altitude, with the bird gaining height at full throttle. Cruise control allows you to fix the throttle at a set position. We found the app to be intuitive and it was incredibly easy to pair the bird to our iPhone, and it also works with Android phones. There was no need to connect to a Wifi network using the phone’s settings. The connection wasn’t the best and the phone did lose connection once or twice, causing the bird to glide peacefully to the ground. The controls were a little slow to respond, but after balancing the bird with the included tape we were able to fly the Bionic Bird with some confidence. You need a lot of open space and very little wind to really fly the bird for any amount of time. The Bionic Bird will flap its wings furiously when you want it to accelerate and you can cut the power and let it glide. While gliding, it is fun to control the bird and have it do little tricks. The Bionic Bird doesn’t have a camera. 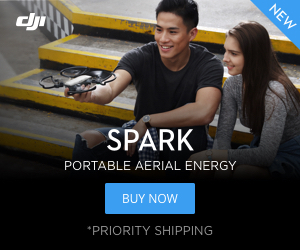 You are not going to be doing any FPV racing or taking aerial photography with it, so a camera isn’t really needed. A camera might be nice to capture the Bionic Bird being attacked by a bird of prey, but otherwise, it would just add unnecessary weight. You get a second set of wings in the box just in case you damage your drone, but we found the bird to be shockingly sturdy. It’s so lightweight that it just bounces off of things. We crashed it several times and it didn’t get so much as a scratch. We even landed it in a tree by accident, it seemed to be right at home in the branches. The Bionic Bird can be charged with the optional Egg which is essentially a cool-looking power bank. You can charge the bird up to 12 times from the Egg before it needs to be recharged. The Bionic Bird perches neatly on the Egg while charging. This combo is definitely a unique setup. We were very happy with the very speedy recharge time of the bird, it seemed to recharge in under 10 minutes every time. If you are looking for something different then check out the Bionic Bird. It is small, quiet and fun. Drones are everywhere these days, but you will definitely be turning heads with the Bionic Bird, we certainly got a lot of attention during our test flights. 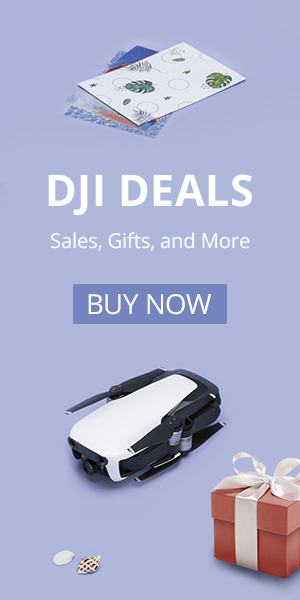 What is the best drone for you?? ?